When teachers engage with their students, learning happens. This is true in both traditional classrooms and virtual ones. We know students also learn from each other in a regular classroom, but what happens when those interactions are taken away in an online class? Where can educators and students go to discuss ideas and solutions? And what’s an online incubator? 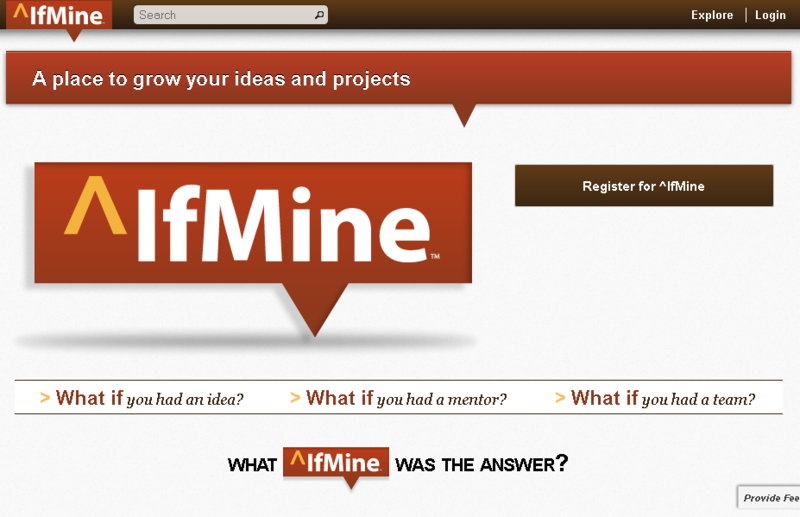 The answers to each of those questions lie within a place called ^IfMine. Now, we ask another question. What is ^IfMine? a meeting place for students and educators. an online incubator to grow ideas. a website to build eportfolios. a tool for receiving feedback. where students collaborate on group projects. where teachers can mentor and evaluate their students. where critical thinking takes place. Are you ready for an online incubator? Join us at ^IfMine.com.